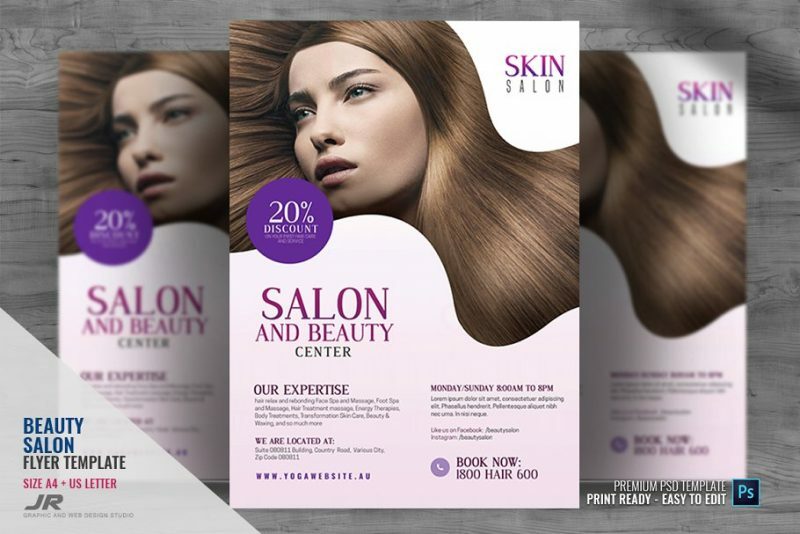 Hair salon flyers are used for the promotion of hair saloon. 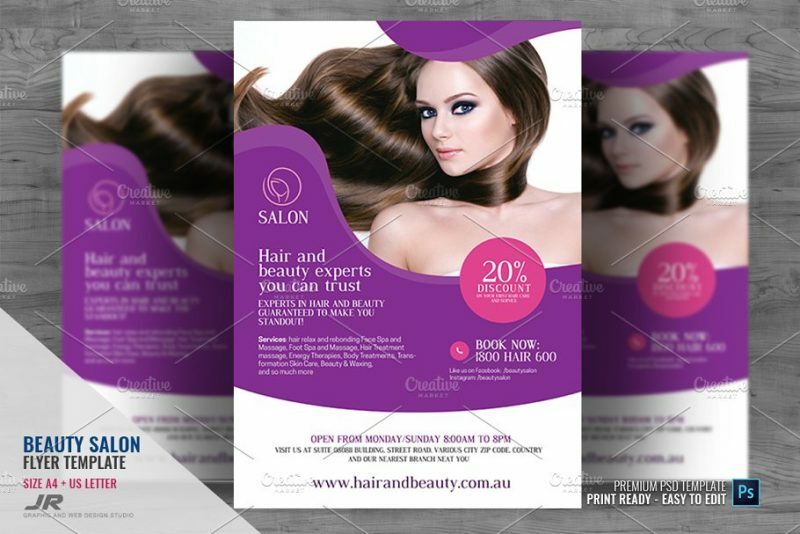 You can design a professional hair saloon flyer by using our templates. 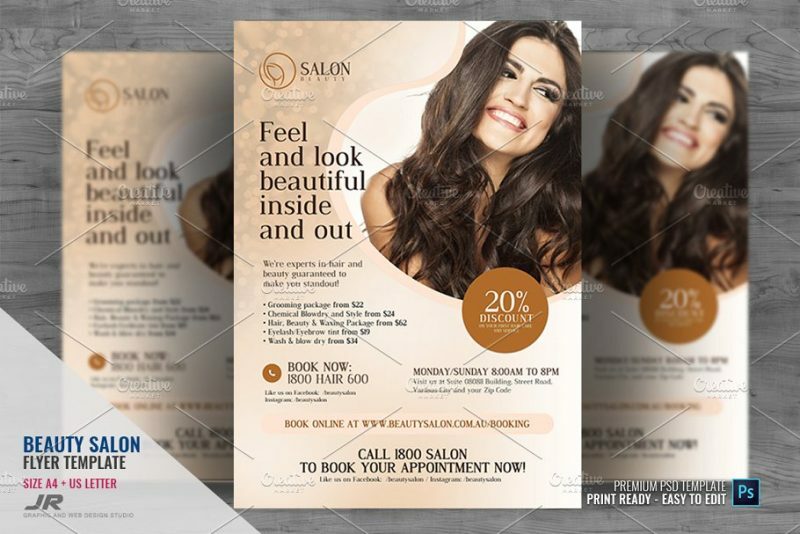 You can customize the every aspect of the template and design a perfect flyer for your saloon business. 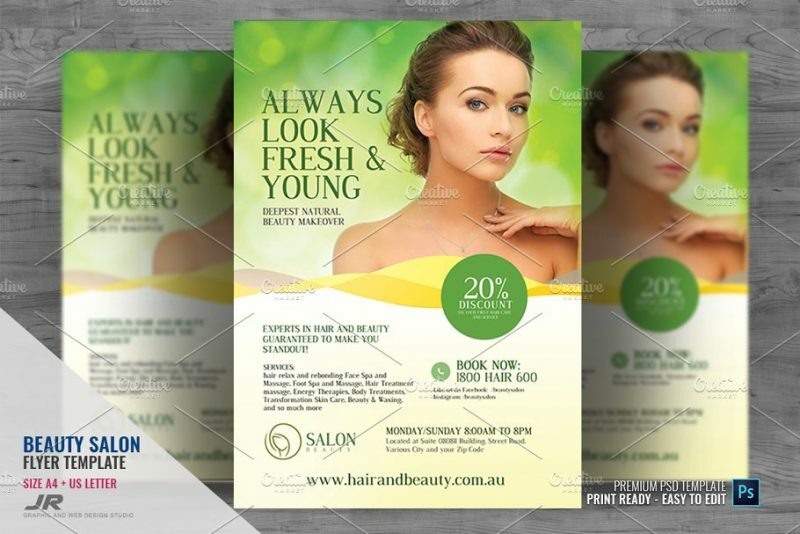 All the text and images that are included in the template can be edited by using the layers of the file. 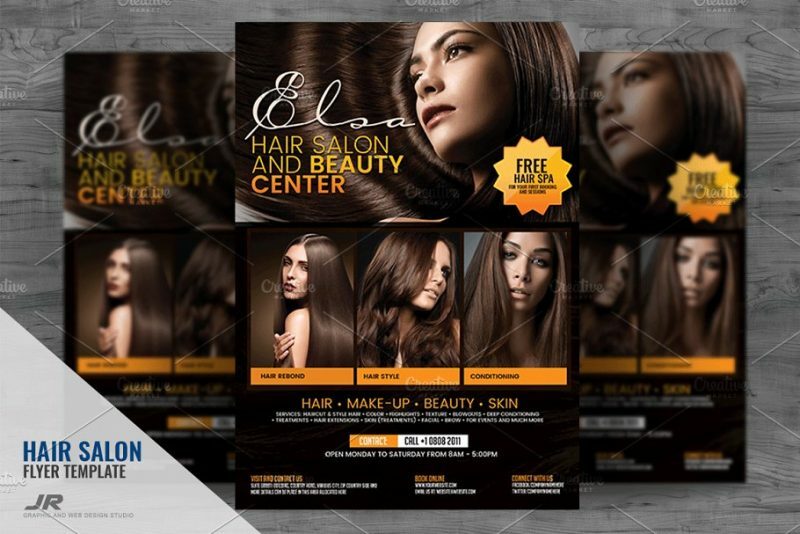 In this article we have also tried to include many other templates that can be useful for other salon business. You can change the images of the template and customize it according to other business. 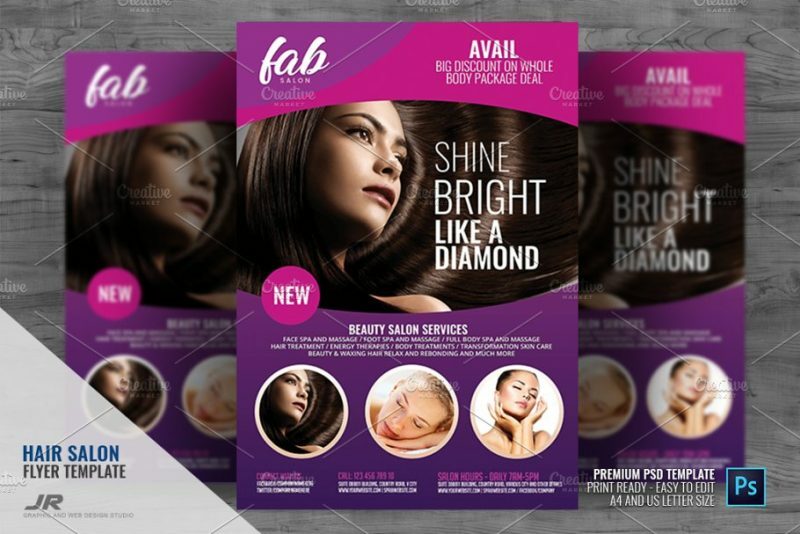 Only the free fonts are used in designing these templates and you get the link to it help file. 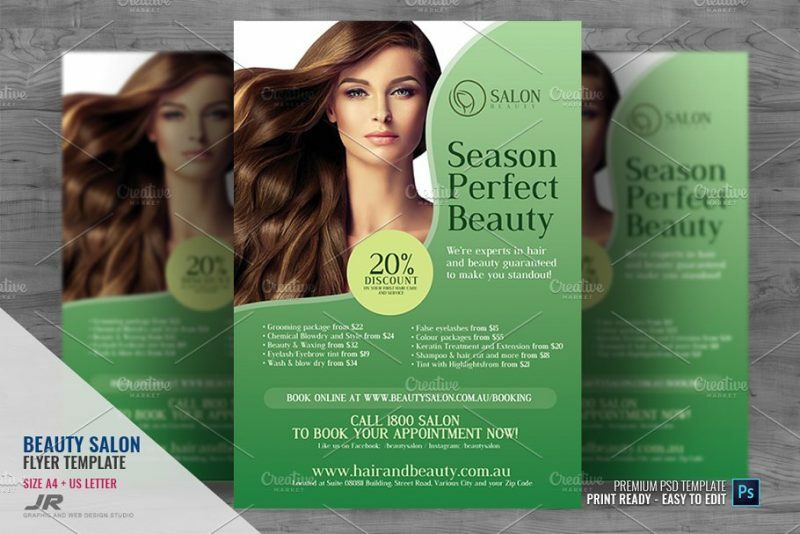 This is A4 size flyer template with 8.27 x 11.69 mm. Resolution of this template is 300 DPI and you can get a perfect printout of it. How to use the file instructions are included in help file. 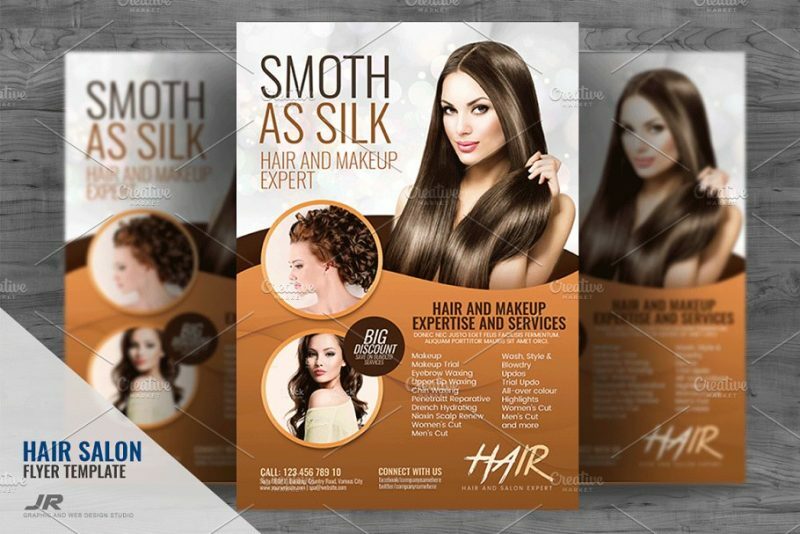 This is a perfect flyer to design a hair salon business. 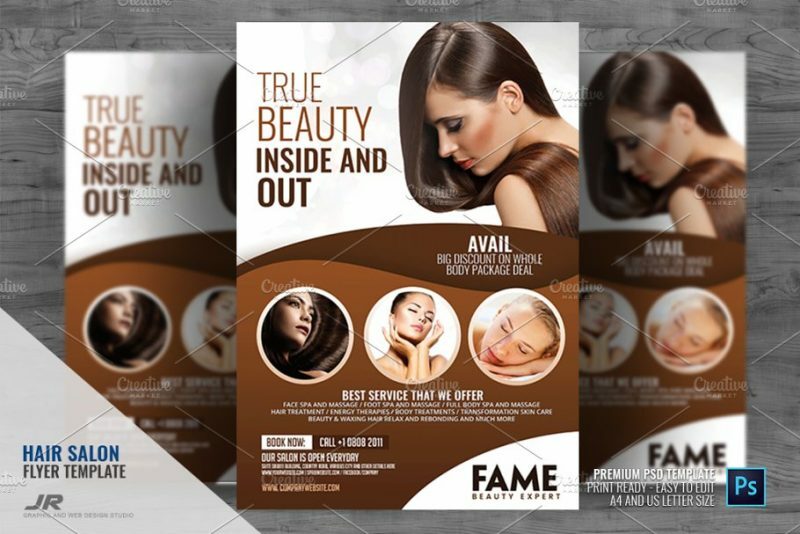 This template is fully layered and well organized so you can edit the file with ease. All the links to the fonts and images are included in the documentation file. 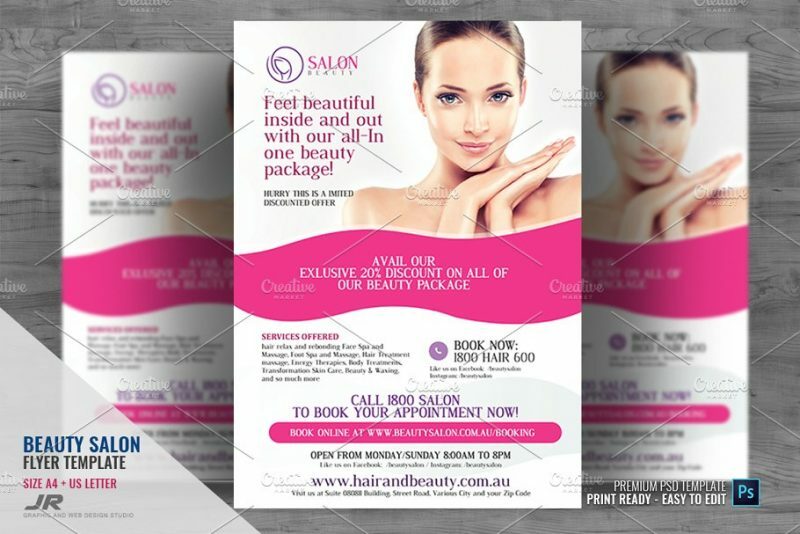 In this article you get the template in two different size formats A4 and US letter. Both the templates come with 0.25 mm bleed and guidelines to take a perfect print of it. 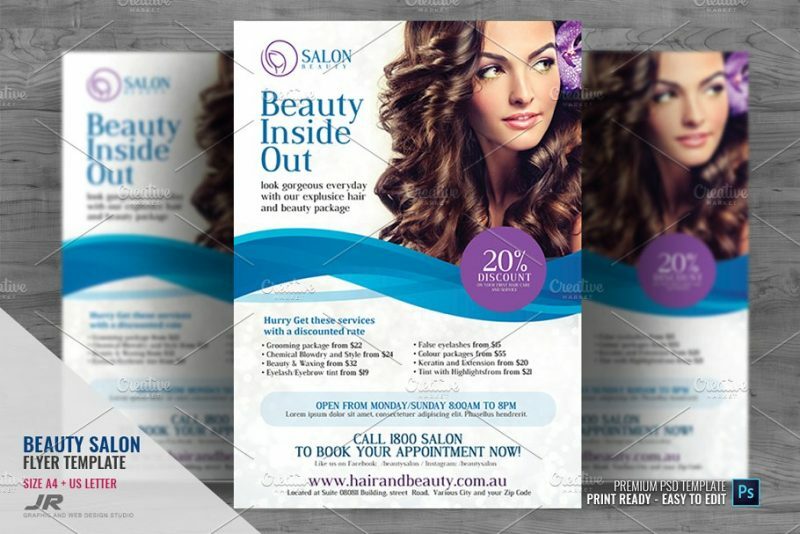 Use the above flyer templates for your hair saloon business or any kind of saloon by changing the images. You can download the files from their respective websites. Graphiccloud.net has no copyrights on the templates.